Yes, we have done a Daily with ASCII art, so what? You kids with your fancy mobile phone cameras! In the old days we made an image from just simple text characters, ASCII Art. 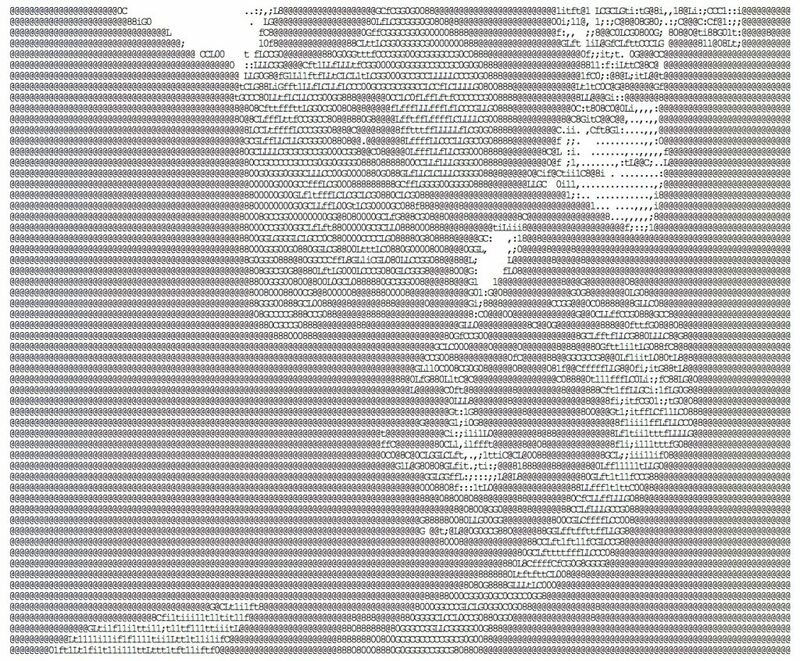 Give it a try with the ASCII Camera which renders your devices camera image as an ASCII character one. Pause the display, grab a screenshot, and put that selfie in your social media stream! If me and my dog can do one, so can you. Tweet your response to @ontarioextend and be sure to include the hashtag #oext333. In your tweet, please use the image description capabilities to enhance the accessibility of this activity.